The mainstream media and ultra-liberal Democrats can’t understand why white voters, especially white men, are so angry. 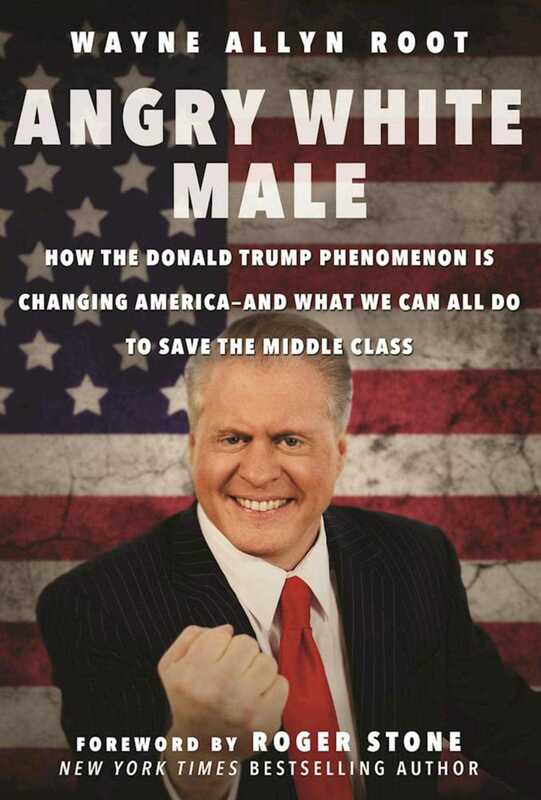 Wayne Allyn Root is an angry white male, and he knows why. This is his story, his testimony, and a look at what’s happening to an entire group of good people: law-abiding, tax-paying, hard-working, middle-class people. They’re being targeted, silenced, intimidated, persecuted  virtually wiped off the planet  in order to make guilty, politically correct white liberals feel better about themselves. It’s open season on white males. Not afraid of being politically incorrect, Angry White Male exposes the unfair and unregulated policies, politically correct attitudes, and reverse racism that have recently oppressed and depressed the shrinking middle class  in voting, housing, guns, taxes, regulation, and jobs  and provides the playbook to empower readers to protect their rights. They can do this by verbalizing, mobilizing, and protesting, getting out to vote in record numbers, pushing for term limits, fighting the not so free” trade battle, fighting for a Middle-Class Contract with America” and Middle-Class Income Tax Vacation,” and arming themselves with the Middle-Class Weapon of Self-Defense.” Let the revolution begin!